Plano, Ill. – Plano pro Jordan Lee is off to an incredible start in the 2019 Major League Fishing season. 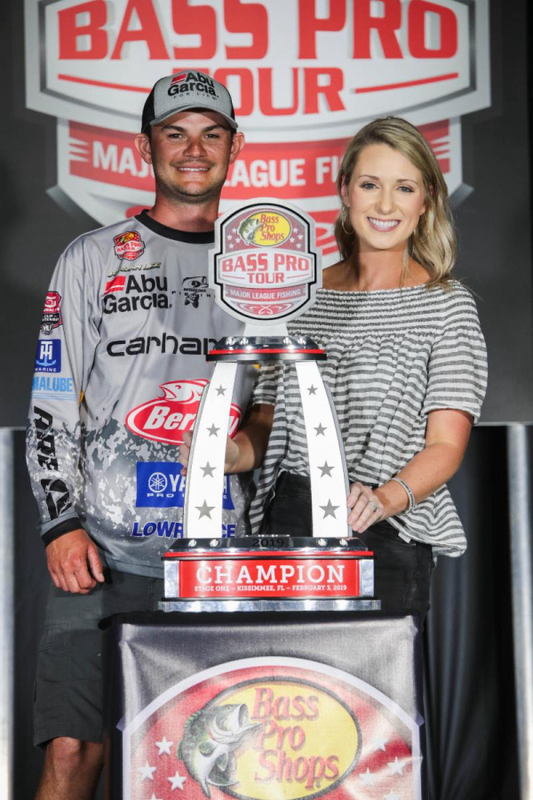 The 27-year-old from Grant, Ala. has been dominating the opening contests of the 2019 Major League Fishing season, winning hardware at the first two stops on the MLF Bass Pro Tour. Five years after his rookie season and a humbling 105th place start to his career, Jordan Lee has found redemption on Lake Garcia. Lee was able to hustle a slew of 2- and 3-pound fish in the third period of stage one adding more than 32 pounds to the leaderboard, propelling him to the inaugural MLF Bass Pro Tour Stage One Title. Jordan finished the day with a total weight of 55 pounds, 1 ounce on 26 fish. 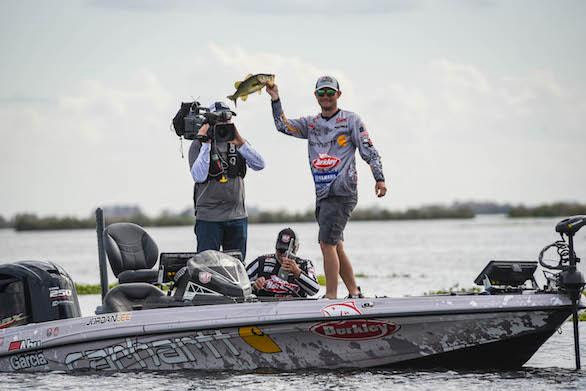 After his victory at Lake Garcia, Lee stayed hungry heading into MLF Bass Pro Tour Stage Two at Lake Conroe in Conroe, Texas. To top that we got to see Jordan claim another victory in the Major League Summit Select Championship event that aired last week- this event was filmed seven month ago and kept under wraps until we could all enjoy seeing Jordan take home the win. A week later and Jordan Lee was at it again, filling his bag, landing a steady string of 2-and 3-pounders during the first period. Lee closed out the day with another 14 pounds, 12 ounces in period three to pass Andy Montgomery on his way to the top of the leaderboard for the day. Lee finished the second shotgun round with the heaviest bag of the field: 32 pounds, 3 ounces on 12 fish. Lee continued his hot streak last week at Lake Conroe, Texas, taking home sixth place with 27 pounds, 8 ounces. Jordan looks to continue his success when the MLF tour rolls into Raleigh, North Carolina, March 26-31 for Stage Three. The key to his success lies within the organization and preparation we know Jordan puts into his craft. Plano’s organized tackle storage solutions allow Jordan to put his knowledge of the water and conditions to work, cutting down and limiting the time he spends looking for his next bait. Congratulations Jordan, and good luck on the next tour stop and the rest of your season. PLANO FISHING IS PROUD TO BE THE GO-TO FOR OUTDOOR STORAGE SOLUTIONS WITH MORE THAN 65 YEARS OF HISTORY TO BACK IT UP. Since 1952, when Warren “Pete” Henning returned from a Florida fishing trip with the desire to improve the tackle box, Plano has become the standard in modern tackle boxes and storage solutions. Over the next 65 years, the Plano brand has found its way into the hearts and hands of four generations. Today, there’s a four in five chance that if you own a tackle box, it was made by Plano. There are many reasons consumers faithfully choose Plano, including quality, durability and innovation, but our favorite is, “It’s what my dad always used.” We take care of you by taking care of your gear. Thank you for trusting us to PROTECT YOUR PASSION. © NPAA 2019. A site by Up North Marketing.